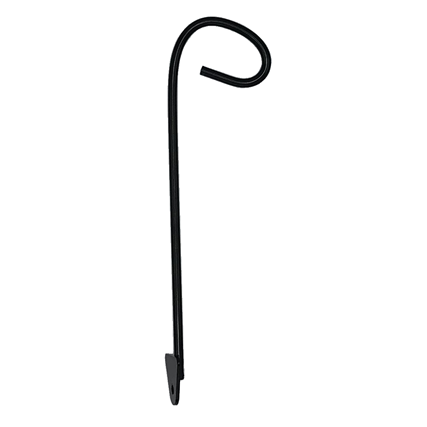 These brand new label hangers have been produced to enable the labelling of low growing and ground covering plants. As they measure only 22.5cm in length. The thickness the metal rod used to make the hanger is 4mm. They are manufactured from steel and coated using Black EPD (ElectroPhoretic Deposition) which means they look good whilst still being rust-proof and will have a substantial life span. The hook design allows labels of varying sizes, thickness and material. To be hung in a secure way. Which should help prevent labels becoming dislodged or removed easily! 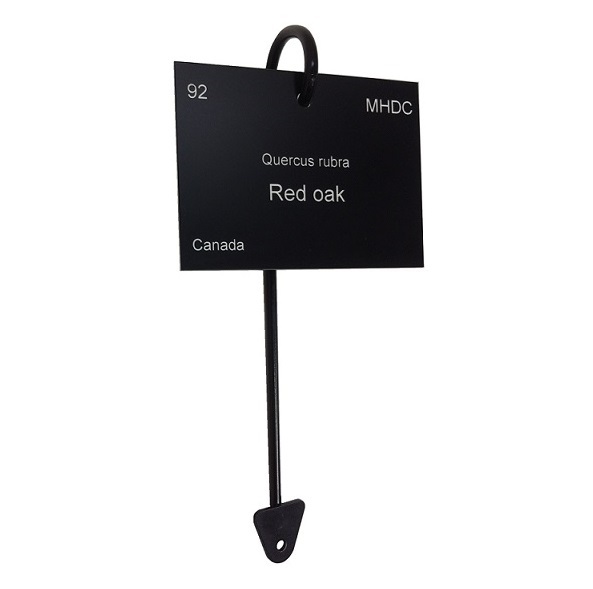 These label hangers also benefit from an arrow head shaped spade at the bottom of the rod. To prevent the labels and hanger turning in the ground on those windy days. If you were looking for an alternative Label Holder please click here to view our Plant Label Holders.